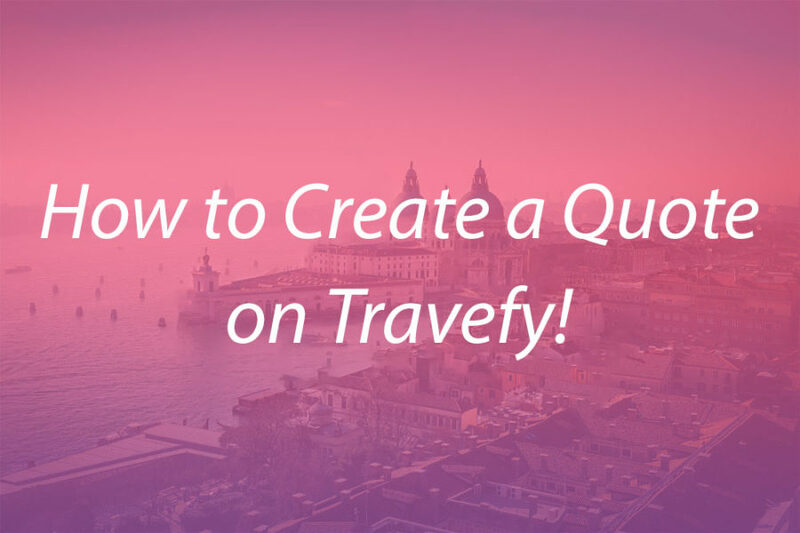 With Travefy Professional, all users can build itineraries and share them with clients but did you know that you can also build client quotes and proposals? We’ll show you how! We have also created a trip quote copy that you can download to your own Travefy account found below. 1. Start by creating a new itinerary. Fill out the basic trip information first, but leave the date field blank. 3. Begin filling in the information into each segment by clicking “New Event”. You can choose “Activity” to add information like destination guides, terms and conditions, etc. When adding flights, hotels, and transportations, you can press the “Flight” or “Lodging” button. Pro Tips: Look up flights and cruises quickly with our Quick-Add feature! 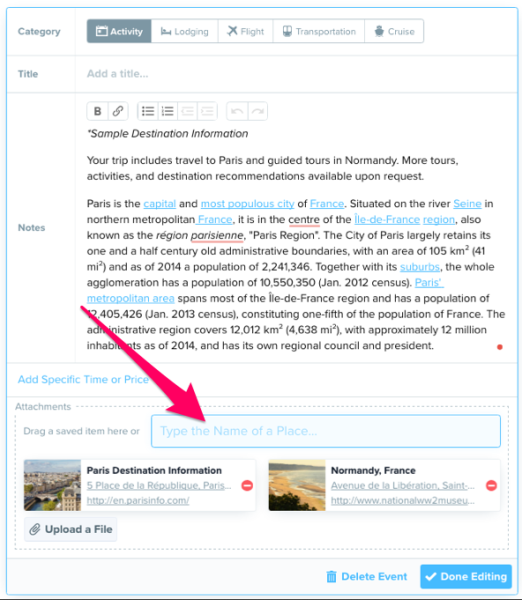 Also, use the Content Library to save information and content to reuse again on future itineraries and quotes. Add rich information like, address, phone number, URL, and photo for a place by searching for it at the bottom of the event. Ready to start building your own? Sign into your Travefy Professional account and click the Copy Quote Template button below and it will open as a new itinerary in your account. If you don’t have a Travefy Professional account, sign up today for a free 10-day trial! Click here to sign up. Shark Attacks & Shark Facts!